"I want to thank Australia" said a smiling Mr Araibi. "This is my country." Mr Araibi was detained on Nov 27 while on honeymoon at the request of Bahraini authorities who accuse him of offences linked to the 2011 Arab Spring uprisings. His detention sparked worldwide outcry and a protracted diplomatic dispute between Bahrain, Thailand and Australia that raised questions about the neutrality of Interpol, the writ of Canberra's refugee protections and Thailand's treatment of refugees -- and those applying for refugee status. Mr Araibi had expressed fear that he would be tortured and killed if he returned to Bahrain and supporters alleged his prosecution was politically motivated. 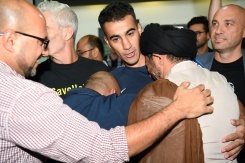 Prime Minister Scott Morrison led celebration of Mr Araibi's release, saying many Australians' prayers had been answered. Mr Morrison thanked the Thai authorities, who had earlier left his written appeals for Mr Araibi's return unanswered, but abruptly dropped extradition proceedings on Monday at Bahrain's request. 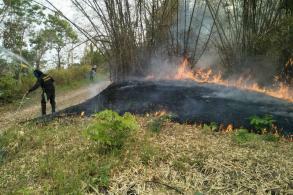 The case had also become a cause celebre in the football world, with stars like Didier Drogba calling for Mr Araibi's release and FIFA urging the Thai football authorities to intervene. "My thanks go to the wonderful people of Thailand for your support and to the Thai (government) for upholding international law," Mr Foster posted on Twitter. Barefoot and locked up in chains. 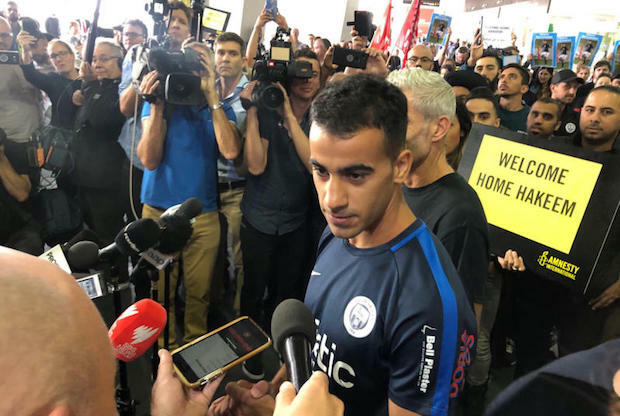 The harrowing story of Hakeem al-Araibi has generated international concern. 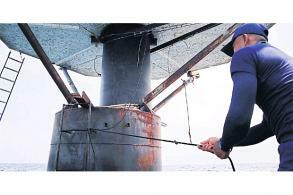 Bahrain's reversal of Mr Araibi's extradition is surprising. But Mr Araibi says his prosecution was motivated by his criticism of Asian Football Confederation president Sheikh Salman bin Ebrahim Al Khalifa, a member of Bahrain's ruling family. "The guilty verdict against Mr al-Araibi remains in place.... (Bahrain) reaffirms its right to pursue all necessary legal actions against (Araibi)," the statement said.